However, not a lot has been written about how your leadership needs to shift as your company transitions from small to big. That may be, by the way, because very few small companies actually achieve revenues more than $250 million in sales – only about a tenth of 1 percent ever do. There is one book that I’m familiar with that does address this topic. Written a few years ago, Keith McFarland and his team of researchers studied more than 7000 of America’s fastest growing private and public companies, talked to over 1500 key executives, and cataloged more than 5600 articles. Their findings were written about in the book The Breakthrough Company in 2008. He identified nine companies that successfully made the transition to the big leagues. I was fortunate enough to work at one of those companies for five years, and was responsible for the development of its leaders. In order to write this post, I combed through the book again, and reflected upon my own experience of working at one of the companies he studied. In hindsight, the lessons for leaders are even clearer than they were when I first read it four years ago. 1. From personal loyalty to a single leader and vision (usually the founder) to commitment to the organization and its customers. Start-up leaders can be tribe-like in their loyalty and dedication to the founder. The founder IS the organization and leaders strive to emulate the founder’s own leadership style. The founder can cast a HUGE shadow over an organization. The founders of companies that successfully make the transition to big understand this and have the desire to create an organization that is long-lasting, well after they leave. They can put their own egos aside for the good of the organization. Leaders within these organizations need to be encouraged to and learn how to buck the system, challenge the process, and question assumptions. Sacred traditions that no longer serve a purpose need to be put to rest. Processes need to be analyzed and improved, and leaders need to learn how to manage through systems. 2. From implementing strategy that comes from the top to thinking strategically. In start-ups, strategy is usually developed by the founder and a handful of close advisors. The rest of the employees then implement and focus on running the business. In order to be successful, small companies need to start pushing decisions down in the organization and taking more time to gather input from all levels. Leaders need to then learn how to think strategically about their own part of the organization, and provide input into big organizational strategic issues. In my organization, I used to hear tenured leaders say “We never really had to think – our role was to DO”. 3. From being action oriented to collaboration and quality decision making. The fact is, as organizations get bigger and more complex, more input and expertise is needed to solve problems and make decisions. The ability to collaborate across boundaries and facilitate consensus becomes an essential leadership skill. 5. From “getting the right people on the bus” to “getting the most from the people already on your bus”. In the start-up phase, it’s all about sourcing talent and making the right hiring decisions – quickly. However, as an organization’s requirements shift, it’s a recipe for failure to think you can just shuffle the deck and hire all new people. Leaders need to start spending less time on managing the technical aspects of the business and much more time on coaching and developing employees. Sure, getting the right people on the bus is always important. However, if you are known as an organization that grows it’s people, the best people will come to you, you won’t have to go out and find them. 6. From “do-it-ourselves” to looking outwards for assistance. Start-up companies take a lot of pride in “keeping things in the family” and relying on their own ideas. They don’t hire consultants, don’t have to answer to a Board, and flourish when their investors just leave them alone. However, in order to reach the next level of growth, these organizations will need begin to build what McFarland refers to as “scaffolding” around their organizations – outside resources and ideas that enable them to take their business to the next level. Individual leaders need to build their external networks and look outside for new ideas and for their own development. They need to develop an openness and curiosity for new ideas, instead of rejecting outside ideas as “that’s not the way we do things here”. 7. From individual communication to organizational communication. In a start-up, a leader knows every employee and can easily talk to each of them directly on a daily basis. As companies get larger, leaders need to learn to inspire and influence large groups of employees indirectly and remotely. Leaders need to develop presentation skills, learn to manage from afar through measurement of key results and indicators, and manage remote employees that they may rarely see. Contrary to conventional wisdom, start-up leaders don’t have to be discarded and replaced with experienced leaders from mature organizations like parts in a machine. Sure, they may leave by choice (about 25%) – the kind of shifts required will drive many of them absolutely nuts. Some will cling to the past, refuse to change, and end up being pushed aside or let go (about 25%). 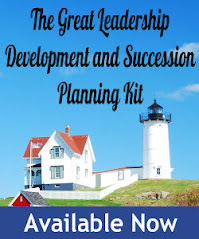 However, if they chose to stay and grow, the majority will continue to build on what made them successful and learn new skills to add to their leadership toolkit. That’s a good thing – that 50+% are vital to an organization’s current and future success. To use a sports analogy, great teams don’t change their roster every few years and waste buckets of money hiring too many expensive free agents. They carefully grow their own talent and fill gaps selectively. They create a team of leaders, not just one overbearing coach. They have strong cultures based on a solid set of values and character, honor their traditions, but know when and how to adapt to the new rules of the game.